← What if 100000 Dedicated Readers Saw Your Book’s Message? Too often leaders want sustained growth, as well as performance improvement, but do not realize the best starting point is to (re)design their structure of leadership. Leadership structure refers to those organizational arrangements which can unify or defeat how leaders perform, alone and together. Bolman and Deal, two outstanding experts in organization behavior, give four conditions which call for the redesign of a structure. -Changes in an organization’s external environment, such as the start in 2007 of the trip down to a recession and then long, slow trip back to recovery by 2015. -Changes in technology such as from scientific breakthroughs and the greater use of advanced cloud-based computing, to safer ways for individual staff members to lift a heavy load. -Organization expansion, growth, and decline; many companies experienced it in the last seven years. In addition, looking just over the horizon, some expect massive growth when the U.S. Congress acknowledges the need to replace our deteriorating national infrastructure. Finely, recent news reports show the Department Veterans Affairs is undergoing labor pains as the demand for their service increase. -Changes in leadership: replacing a new leader, such as the hiring of Secretary McDonald to head the VA; a need to set new strategic priorities; or restructuring leadership to improve operating performance and corporate culture. When considering these changes, leaders benefit by answering two questions about their organizations. What does current evidence show about how well we cope with these conditions? How prepared are we ready for the changes coming just over the horizon? Regardless of how they answer these questions, many leaders will still find themselves redesigning their structure out of an absolute necessity to survive. For example, to respond to more customer demands leaders will rely less on top down management and more on lateral, local coordination across functions. The implication for leaders is they will need well designed leadership structure in the near future. An effective leadership structure motivates leaders. With it they become inspired to contribute their best. It enables them to deliver their company’s critical outcomes together, without undermining one another’s efforts. Their satisfaction grows as they discover how much more they can accomplished when working as a cordial team. Using a well-tuned structure, a group of leaders can even become transformed into a business advantage, but it won’t happen if they are stuck with an obsolete or irrelevant structure. How does an ineffective leadership structure stymie the best intentions of its leaders? When leaders are trying to do their best with an out-of-date leadership structure, they tend to act in one or more of the following ways. When leaders are clueless about their company’s survival outcomes, their results become hit or miss, satisfying some customers and angering others. Gaps, conflicts, and overlaps in accountability and roles lowers trust between leaders, increases political disputes and causes them to work at cross-purposes. Leaders tend to become caught up in a web of political intrigue causing uncoordinated communication and decision-making snafus. Leaders are cut off from their customers’ needs and lose sight of how to make their strategic vision come true. They feel there is little means or incentive to sustain any hard-won improvements they might push forward. In short, they assume it is a waste the time and effort to try to enhance their organization. Working in an outmoded structure, unwitting leaders undercut their own power to get things done. Even well-intentioned leader initiatives can undercut the hard work of the other leaders, leaving bad feelings all around. How can leaders inspire themselves to take coordinated and productive action without over reliance on high pressure top-down oversight? By organizing themselves, along with their CEO, so they are all focused on the same strategic vision. This means each takes a blood oath they want to improve their teamwork and then immediately move on to define their critical outcomes to shape their strategic vision. By learning how to form fruitful work relationships which ensure customers receive the vision specific outcomes they were promised. 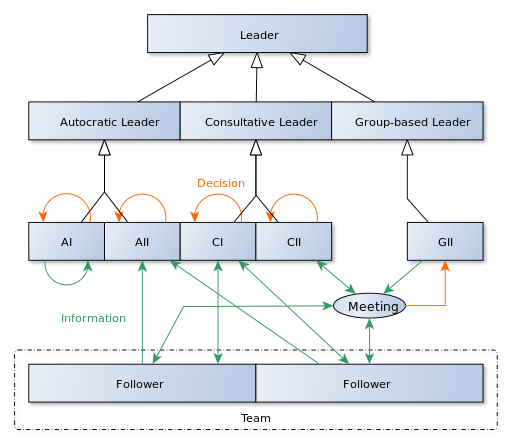 For this to happen, individual leaders have to accept accountability for each outcome, integrate their roles for the delivery of each, as well as set up and agree on the checkpoints of a coordinated communication processes. By redesigning their decision-making processes to encompass the combined efforts of all leaders. This means they design and agree about a strategy-driven hierarchy with regular, relevant and timely performance feedback systems. As delivered outcomes begin to satisfy ever more customers and the leaders improve their teamwork, measurable improvements in customer satisfaction and revenues should become possible. From a well-designed structure, leaders stand to gain in other ways, as well. They enjoy more freedom to fulfill their organization’s strategic vision. Over time, their coordinated responses to emerging opportunities and emergencies make it possible for them to accept more risk. Accepting greater risks comes the opportunity to gain greater payoffs. They gain more customer and employee admiration as they learn to expect and not just react to emerging and changing customer needs. They gain more repeat business, reducing the time and expenses needed to develop new customer relationships. For example, as a commercial construction company gains a reputation for excellence its can-deliver profile raises its value in the eyes of owner-representatives. Owner reps are looking for reliable and responsive builders, such as these, for their signature projects and on-going small project work. By the way, with a new performance management system, it becomes easier for leaders to collect data about several of the leading performance indicators mentioned above. These valuable data give clues about whether their company is on track to succeed in the long-term. The power of a leadership structure became clear during my twenty-five years as a consultant and coach. Many of our projects involved system-wide organization change and improvement, such as reorganizations, service delivery systems, and changes of culture, as well as mergers, shutdowns, and IT conversions. Almost as disturbing as a tangle of 18 wheelers in the icy ditches along I-80, our assessments revealed boneyards of failed and mangled leadership initiatives. There were many examples of organization breakdowns due to outmoded and inadequate leadership structures. We saw how five-year old top-level choices had hamstrung their own leader groups, rendering them powerless. Those top-level managers had not imagined how the flaws in their decisions could reverberate for years. And they lacked the checkpoints to give them an advanced warning of their off-track decisions. They had underestimated the power of a strong leadership structure–the power to grow, as well as the power to cripple, their organizations. Let’s start a conversation about leadership structure: key in your questions or observations in the comment spaces below. 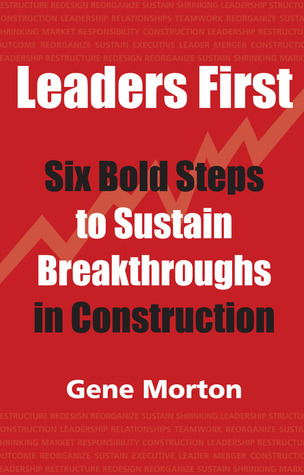 Your experience with the dynamics of leadership structure is valuable for all readers. Are you mulling over a change in culture, a reorganization, or renewal of your organization? Remember to consider how well your leadership structure will fit your business market and strategic vision. Start your organization improvement project by bringing your leadership structure up-to-date. This entry was posted in Leader Development, Leadership Culture, Leadership Structure and tagged Construction leadership, Effective leadership, Executive leaders, Leader development, Leadership Skills, Organization development, Partnering, Team leadership. Bookmark the permalink.